Dorobanti is where fine villas from the end of the 19th century stand side by side with more modernist constructions, often hastily built blocks dating from the communist period. It remains a much sought-after area however, both by businesses and by those looking to live here. The centre of the district is busy Piata Dorobanti, and Strada Radu Beller which leads off of it. 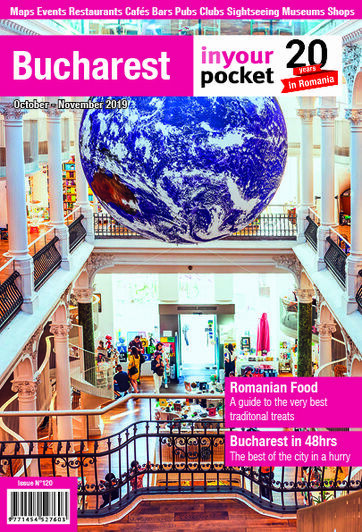 For a number of years Radu Beller was the place to be for Bucharest's smart set, and while both the Old Town and more recently Floreasca have stolen some of its thunder, you will still find some very trendy restaurants, bars and especially cafes in the area. Dorobanti is also the home of TVR: Romanian television. Along with Piatas Revolutiei and Universitatii, the TVR building (something, by the way, of a futuristic gem) was the scene of the heaviest fighting in the 1989 revolution. Buses No. 131 and 301 from Piata Romana run the length of Calea Dorobantilor. The best dentist in the city. What’s more, you can bring the kids too, as they have a room equipped especially for children, and a patient young dentist who is amazing with kids.